One of the first things we think about when it comes to travel, is food. Each destination has its own distinctive dishes, be them Spanish paella or Turkish k_ö_fte. One of the most popular global cuisines, however, is Greek food, and for good reason! Zesty, herby and wholesome, it's just as delicious as it is easy to make. This is why, for this month's Expedia World on a Plate challenge, we're going Grecian. This tasty Mediterranean cuisine is all about freshness, quality and simplicity, incorporating just as many salads and grilled vegetables as tender meats. So, if you want to get involved with this month's World on a Plate challenge, where do you start? Here are a few suggestions. For many people, Greece means yoghurt, and while it may seem like a stereotype, Greek yoghurt is actually a staple part of the diet. Many Greek people enjoy sitting back with a bowl of Greek yoghurt, honey and fruit for breakfast, while many more use this tangy foodstuff to make tzatziki, a dip which also incorporates cucumber and lashings of garlic. Why not grill some pitta breads and dip them in for a delicious snack? Salad and seafood are also Greek must-eats. The humble Greek salad may be simple to prepare, but it tastes like nothing else: simply throw together some authentic Kalamata olives with red onion, tomatoes, cucumber, feta cheese, oregano and olive oil. Which brings us to our other 'S' - Greek salad is the perfect accompaniment to seafood. In Greece, fish is as fresh as can be and cooked on the grill, to maintain as much flavour as possible. Once cooked, all that's left to do is drizzle it with ladolemono, a dressing made from extra virgin olive oil, lemon juice, Dijon mustard, parsley, oregano and salt and pepper. 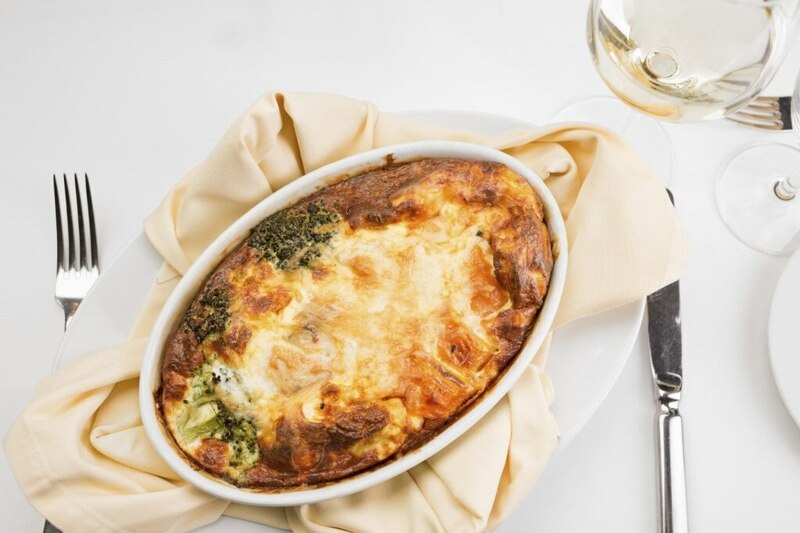 Of course, no Greek menu would be complete without moussaka, a dish inherited from the former Ottoman Empire. Aubergine, tomatoes, garlic and spices are sautéed with mince (or without, for a vegetarian alternative), before being layered in a casserole dish with béchamel sauce, and baked. If you aren't partial to moussaka, why not try souvlaki? These meat and vegetable skewers are a popular fast food in Greece, with pork souvlaki being the most popular choice. Chicken and lamb are also used, with many people choosing to eat their souvlaki from a pitta rather than straight from the skewer. This dish is popular in Greece, and stone barbecues with grooves for skewers have been unearthed in Santorini, dating back to around 17th century BC! Will you be trying your hand at any of these Greek dishes during this month's World on a Plate challenge? Why not take a picture before tucking in and tag it with the hashtag #expediaworldonaplate on Facebook, Twitter and Instagram? We'd love to see what you rustle up!